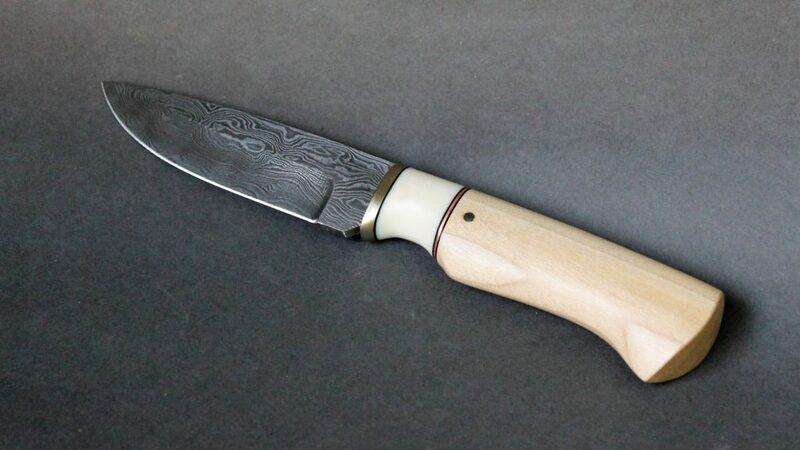 A custom made knife I made for the father in law of a friend of mine who just got married. The blade is coming from Dictum as well as the ivory suvstitute and the wood of the handle. By the way the ivory substitute looks gorgeous and really like propper ivory. It is a good way to replace the real one and make as beautiful pieces.